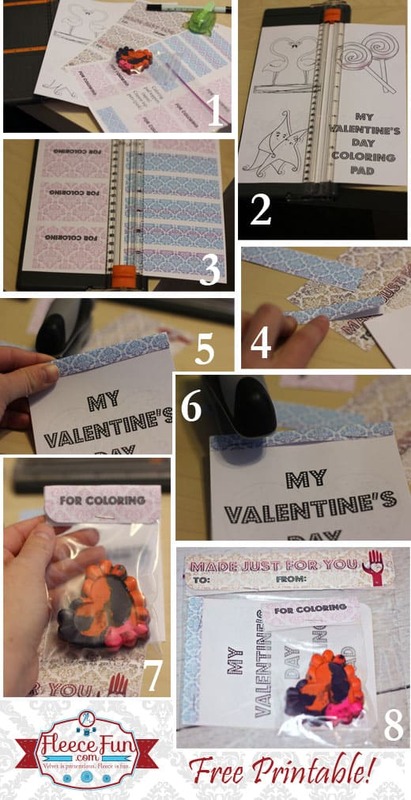 You can make a fun, candy free Valentine with items you already have around your house! 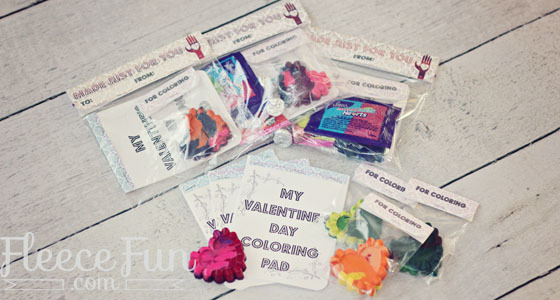 Plus it’s a great gift to give out that doesn’t need a lot of candy – and it’s a fun activity to keep kids happy on Valentines Day! To see how to make the multi color heart crayons check out this post. 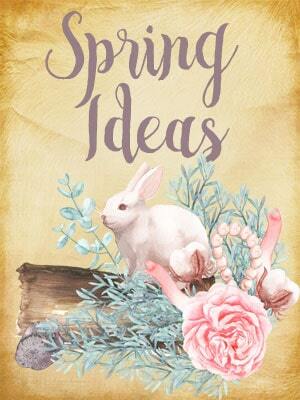 Download the free printable, tutorial below! You can get a free copy of Adobe reader here. For Personal Use Only! 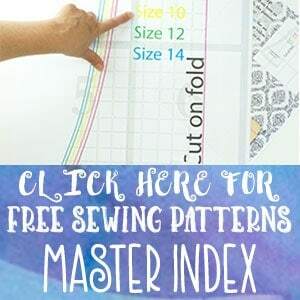 Click the picture of the pattern envelope to download the .pdf ! You can Get the coloring book printable here. You can Get the coloring pad and crayon toppers here. You can get the bag toppers here. Gather your materials and print up the items you will need. Note: There are six items each onteh pad and crayon topper page, and three items on the sandwich bag topper page. Cut the Coloring pad pages into quarters (notice that there are guides to help you with this). Make sure title page is on top, set aside. Cut out all fo the Crayon, coloring pade, and sandwhich bag toppers. Fold all the toppers in half. Round corners if desired. Place pade topper (the blue one) over the top of coloring pade so it’s “pinching it”. Staple tthrough all the layers, stapling the topper on, and making the pad stay together. Place all items in Sandwich bag. Include anything else you may want in the bag. Staple on the topper, and label! I’ve kept the examples pretty plain jane, but you could jazz them up with ribbon, glitter, etc. Make it a family assembly line. Putting these together is fairly simple, have your kids get in on the act by giving them a job to do. Turn on some good music, and make it a family activity! You can keep it simple or add goodies to the bag, the choice is yours! Please note that my printer is giving me fits so the samples look a little off, refer to the .pdf to see what they really look like. them. can i find them somewhere else? thanks. Thanks for letting me know! The issue has been fixed. I must be missing something but I can’t find a link to the PDF tutorial. Please help.